The Spitfire is La Sportiva's premium all-around ski mountaineering boot, and is chock full of trademarked innovations that leverage years of experience in footwear design. Two buckles on a G-Shell™ shell and Carbon Reinforced Polymer (CRP) Cuff™ make this a light and fast touring boot with serious skiability. After experiencing the amazing 68 degree range of motion in walk mode, expect quick transitions with a patent pending Cam Closure System™ that locks you into ski mode with one flip of the QuickBuckle™. Then rely on the Vertebra Technology™ to provide a stiff backbone for precision turns on the down. La Sportiva didn't leave out the comforts with a generous last, flex-zoned Paulau™ liners, and added cold protection from the WarmSole™ insoles. Carbon reinforced cuff provides extra power for driving wider skis or a heavier load. Vertebra Technology™ provides stiffness, working like an exoskeleton to deliver power down the backbone. G-Shell™ is an ultralight Grilamid® that allows for thinner shells with the same power transfer. Get the most out of your downhill with the optional power strap (22g/0.8oz) and spoiler (22g/0.8oz) included. LazerGrip Outsole™ is harder in the toe and heel for more confident climbing on rock and ice and softer under the ball of the foot for maximum shock absorption. Enjoy unrestricted ankle motion with the EZ Flex™ tongue system, borrowed from La Sportiva's proven mountain boots. Dial in your forefoot with the simple EZ Cable™ buckle that works in conjunction with the flexible tongue. CRP Cuff™ has 68° of motion for long strides and maximum agility. Choose from three different forward lean options (12, 14, or 16 degrees) to adapt to your ski style. Fast Lock System™ is an all-in-one closure system that combines walk / ski mode changes with buckle open / close. 2BT Tech Heel™ reduces your heel slippage with a low volume yet comfortable fit. Keep your feet warmer than in other boots with the WarmSole™ insoles that prevent cold transfer through the sole. Paulau™ thermo-moldable liners have a patented lacing system to provide a custom snug fit. The boot comes with the 14º lean plate installed. To change the lean settings, use a screwdriver to replace the plate with either the higher or lower notched plates included in the box. Notes Comfortable for most, huge range of motion, great power transfer. Bottom Line Great blend of comfort, performance and weight. I have these boots (1.0) and I really enjoy the ski touring in the Austrian Alps with them BUT I have probably wrong binding. I had (till today) Dynafit Low Tech binding, not Race just usual model. I had problems to come out of it. The second problem was that the heel part of the boots moved a little bit (1-2 mm) in the binding in the ski mode. Does anyone have the same experience?  I sold the binding and I looking for new one. Does anyone have the combination Spitfire 1.0 and ATK Race binding? If yes, how is your experience? Do you have any other option for me? Thx in advance. Hey Kamil, I haven't heard of the boots moving when you put it into ski mode. Is the fitting in the back of the boot worn out at all? That may need replacing just because if it's worn out the binding won't hold as securely. I've been a big fan of LaSportiva climbing shoes and mountaineering boots for a long time and have traditionally gotten a great fit for my foot. After ditching tele and spending a few seasons breaking into the AT scene, last year i was in the market for some of the lighter AT boots available. At first i was dead set on some Dynafit boots but low and behold it's real tough (if not impossible) to get a Dynafit boot in a size 12+ american foot. I took a chance based on past LaSportiva quality / fit and purchased the spitfires. I've been very happy ever since. For the price (quite affordable comparatively); great fit, light weight, plenty stiff, good durability (60+ days so far with no problems and little wear), keep my feet warm (I fit for comfort), and plenty of style (not as important, but ... you know). Most importantly for me ... they easily fit a larger american foot. Can easily buckle / unbuckle the top latch without lifting my pant cuffs. Have never had any compatibility problems with my bindings (Dynafit Speed Rads). I've used them with the CAMP Race 290 crampons ... booted a few thousand feet with no problems. I had the liner molded with no issues (other than the guy who did it at the local store didn't really know jack about how to do it - not Sportivas problem). Most friends say "I didn't know LaSportiva made ski boots". Well, they do. And they are pretty great. Looking forward to choosing another pair of Sportiva boots in a few years. These boots were built for folks with a high volume foot. They can have a pressure point for some people on the outside of the boot over the 5th metatarsal because of the shaping. I have a 101-103mm forefoot which is the limit of most wide boots and surpasses most lightweight skimo boots and of course expands when pressure is applied. Throwing a footbed into this fixes that problem and adds a tad bit of warmth. My foot has never been cold from touring in the Wasatch, High in the Cascades, and Les Contamines, France. It fits well with Camp C14 crampons and the best w/ Petzl Lynx; BD crampons get the job done, but don't have the most confidence inspiring fit, but they have not bailed on me. The outsole has not been chewed to bits. I have driven skis from from 77mm underfoot to 117mm with these skis. The heavier the ski, the more one has to work, but they do the job. It seems their prime range is 100mm and under. They tour like a dream, super light, amazing range of motion and solid downhill performance for a lightweight boot. Lastly, but a bonus, the rig is drivable with them! 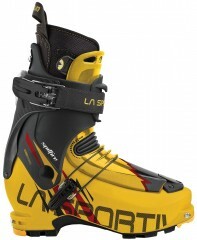 Overall, super light boots, solid performance skiing, touring, and climbing to ski, and durable as all get out. Bought these after having abused my TLT5's for the last two seasons. I went with the Spitfires this year because the wider toe box fit my foot so much better. These also keep the wet out much better due to the more enclosed shell. I also like the cuff lock mechanism much better. I don't have to line anything up, or worry that it didn't engage. Just throw the latch and head down. Also only one hole to cut in my pants. I was able to ski more aggressively in the TLT's but I think that's mostly because the fit was so much tighter. I find these cuffs to be stiffer than the TLT5's but I get a flexing sensation in the foot of the Spitfires when I really pressure them on bigger skis. Also, I had a hard time getting my automatic crampons to fit these. I would tighten down the adjustment as tight as possible, but was still able to pop off the front bail with my hands. 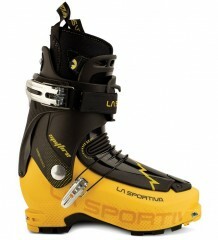 I emailed La Sportiva about this and they recommended semi-auto crampons (heel throw and front straps). But I didn't want to pay the weight and space penalty. I ended up bending the front bail to fit better on my early model BD Sabertooths and I had to order a new narrower front bail for my CAMP aluminum crampons (which are still en route). Overall I would buy them again over the TLT5's.